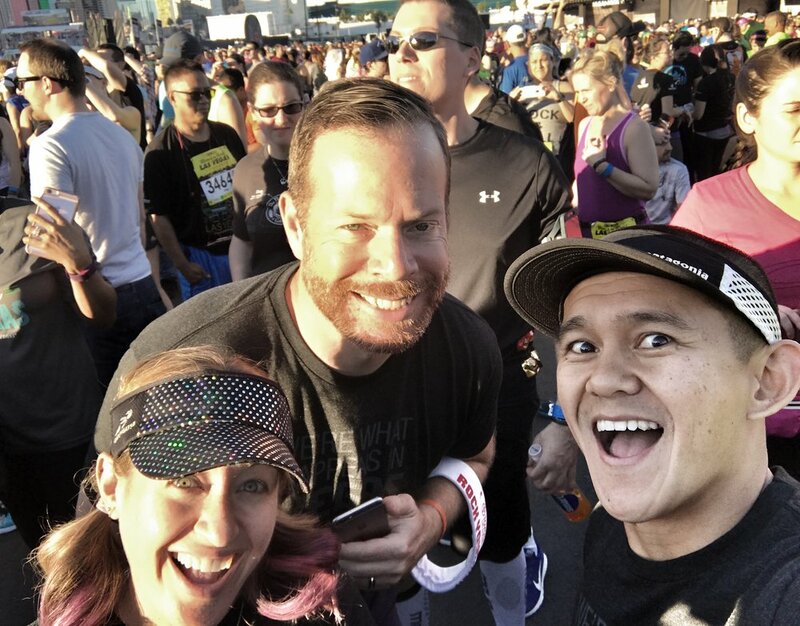 For the past couple of years, I've looked forward to running the #stripatnight otherwise known as the Rock 'n' Roll Las Vegas half marathon. 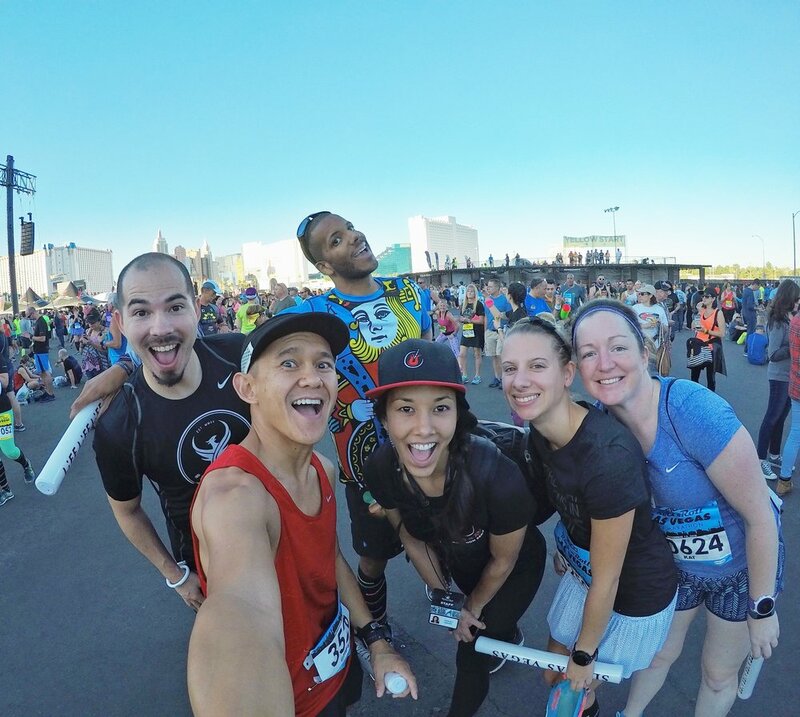 While this was the first year that the crew didn't run a half marathon race the morning of, we still had a fun-filled weekend nonetheless. When you walk down the steps of MGM and see your boy holding the exact same GoPro setup, you know the weekend's about to be LIT! Christmas came early for us this year! 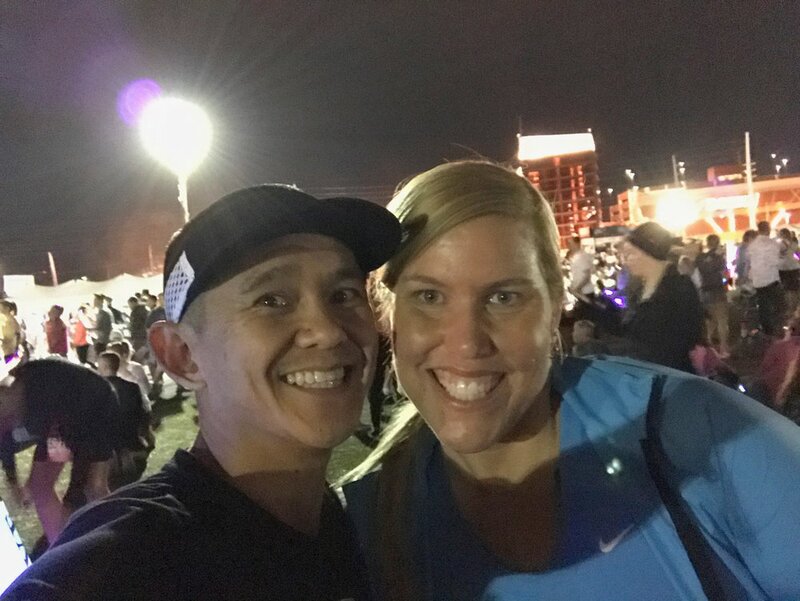 If you missed out on what I referenced above - running a half marathon the morning of the RnRLV half marathon - you can read about those ridiculous antics here and here. We just couldn't let the weekend go without running #alltheraces so we decided on running the 5k Saturday and the half on Sunday. Saturday we ran the 5k race which is held off the strip at the SLS resort (which is, helloooo? swagalicious!) 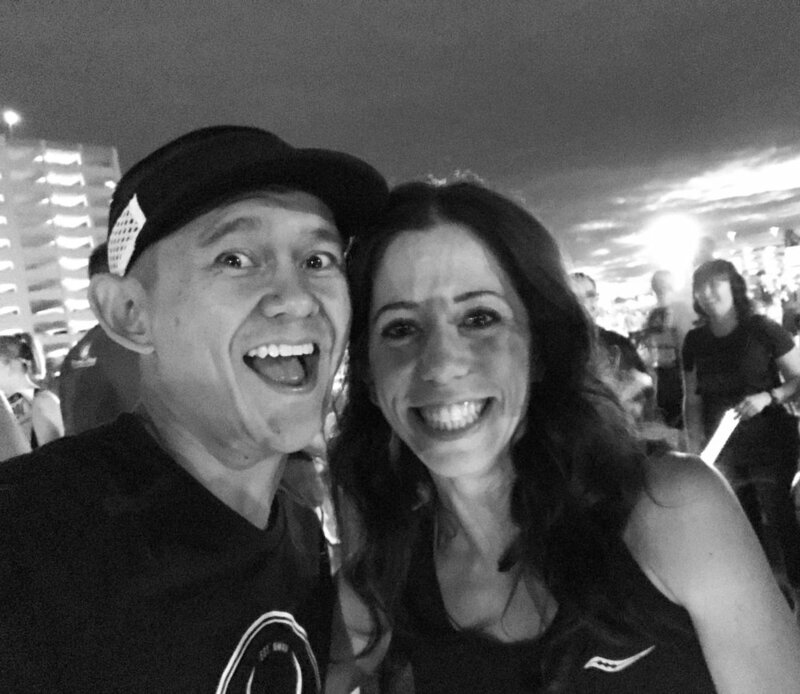 There was a @sparkleathletic / @werunsocial meet-up at 5pm before the race which started at 600pm. 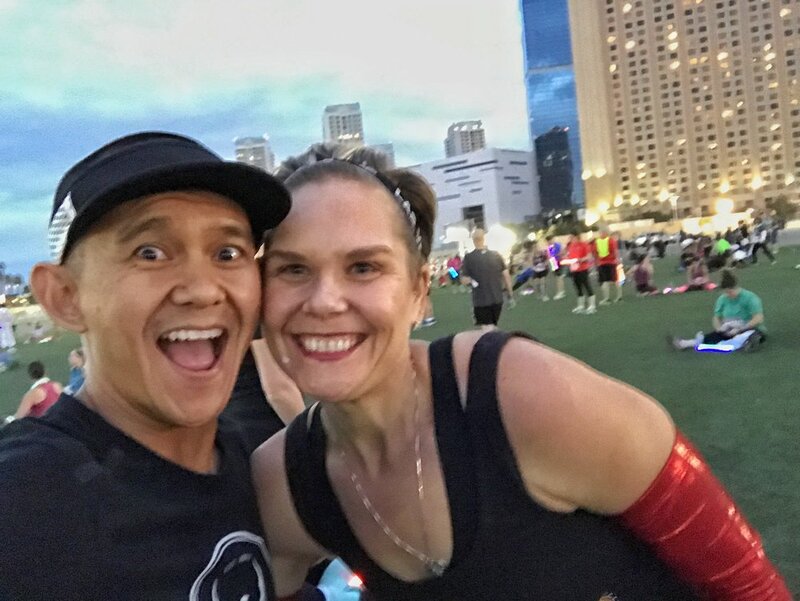 If you didn't already know how we get down at these meet-ups, here are a few pics of the FABULOUS running friends I finally met in real life (IRL). L to R: @bengal_alumna - so fun to finally meet you!, THE @nycrunningmama - totally made my day!, eating pre-race donuts with @ejag777, @katrunsdc and @sas_rubel, @jen_wp - loves BoyzIIMen so she's cool with me! On to the race. I was running with a little, crafty runner who likes to create out of this world running costumes. Maybe you've heard of her? It's @carleemcdot! She re-created the famous Welcome to Las Vegas sign and ran with it - around her entire body! You have to see it to believe it. Yup, she ran the entire 5k like that. Unfortunately we didn't "BEAT THE SIGN!" One second short. The game plan was to run fast enough at the beginning to make for a couple great photos and then ease up on the gas a little and cruise the rest of the way, but after all the excitement, it looks like we didn't ease up as much as we wanted. After the race we took the monorail back to our respective hotels and met back up for dinner. At this time the past couple of years, we we're likely running a morning race at either Disneyland or in San Diego. Instead, we had tons of time to explore other parts of Las Vegas. We heard that there was a Lululemon outlet nearby and since our homie @sharpendurance was coming to par-tay in Vegas, we decided to do a little shopping. $20 shorts for #RnRLV runners? Yes please! There was a very loud #werunsocial meet-up at the pre-race concert because how could there NOT be?! Oh and what better way to do a meet-up than with the one and only Snoop dee-oh-double-gee as the background music on stage. The lighting was much better than the night before so I snapped more pics with running friends who weren't able to make it to the 5k meet up and / or they just came in from their morning races (i.e. Disneyland Avengers). Now you see that running two half-marathons in one day in two states isn't so crazy anymore. No? New this year from our friends at @runrocknroll was a wave start which worked to relieve much congestion at the start in the corralls it means that not everyone in your crew gets to run together. It's okay because this race is really all about the people, partying and less about the fast race times (unless that's your goal, of course). We ended up seeing friends out there on the course anyway. 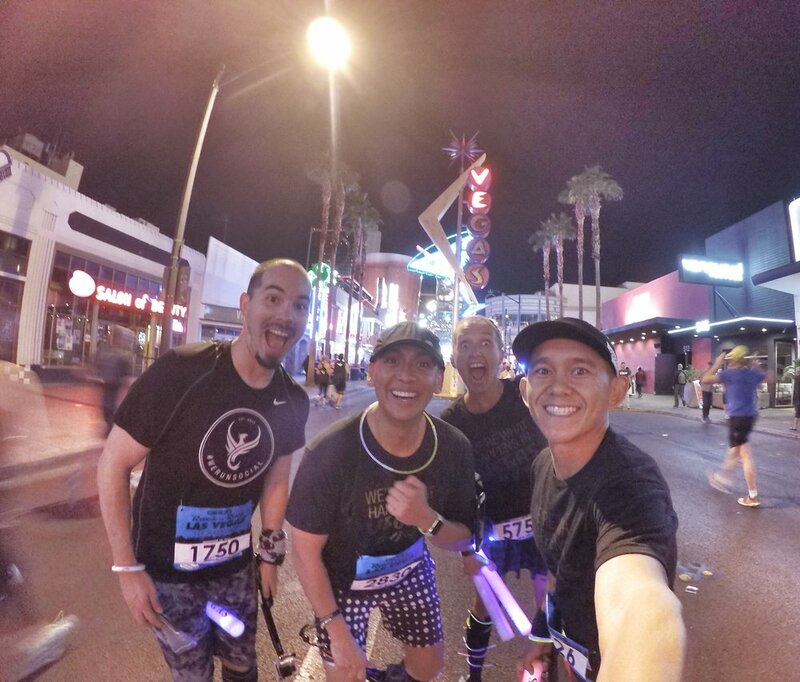 We had all the fun out there on the course and why it took 11 miles for us to grab a beer on the strip and run is beyond me! 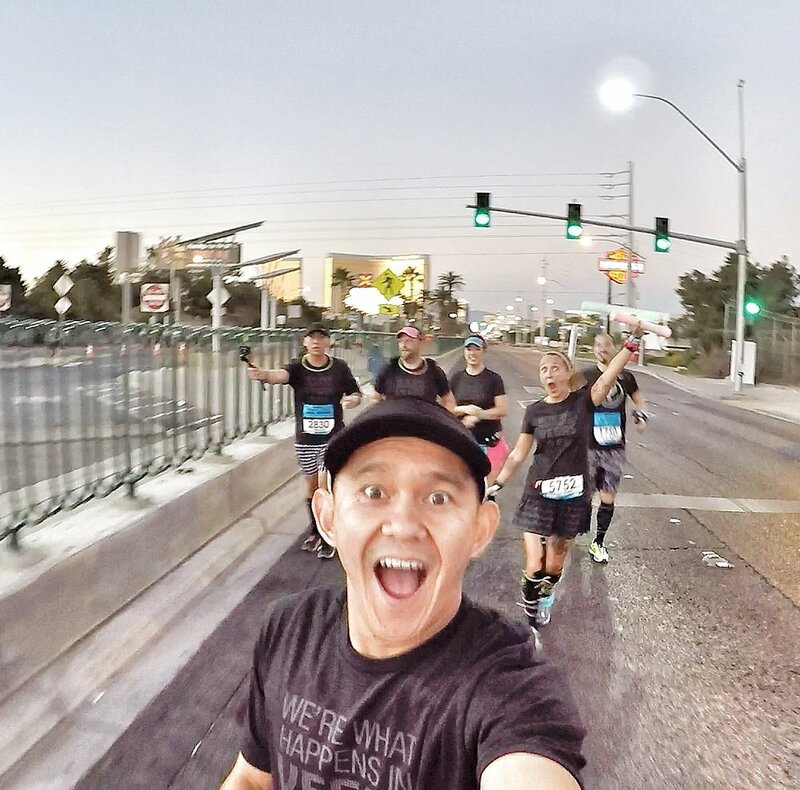 The Las Vegas Strip is only shut down twice a year and one of those times is reserved for runners like us. 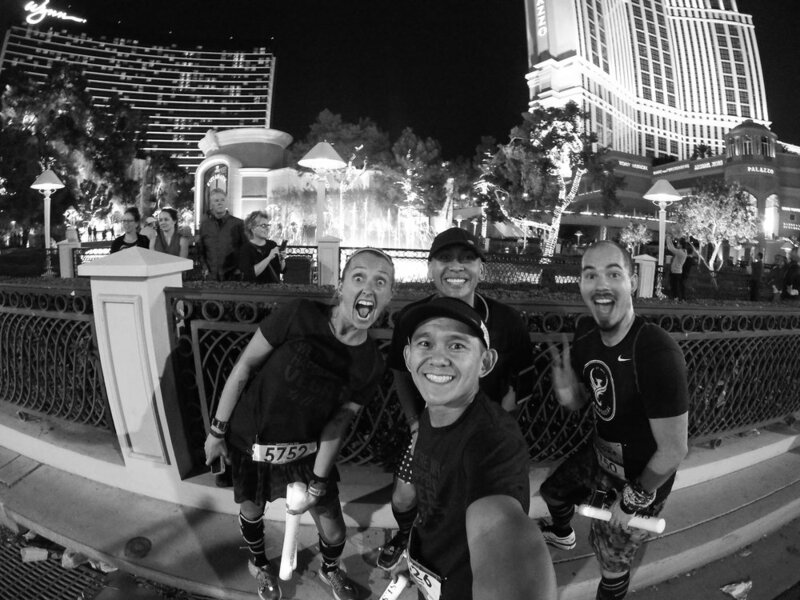 Running the Las Vegas strip at night is an awesome feeling and I highly suggest you register and run it at least once.